Want to know what a Romney presidency would look like? Check out these guys’ records. One way to understand what a presidential candidate might do if elected is to look at his advisers. Here are nine advisers who are shaping Mitt Romney’s views—and could end up shaping his presidency. You may not have heard of them, but you should know about them. His Qualifications: Black was head of the CIA’s Counterterrorism Center when Al Qaeda brought down the towers and is a former executive for the “private security” company Blackwater. What You Need to Know: Black has long been associated with the Bush administration’s “dark side,” including torture and extraordinary rendition. He’s also a fan of colorful speech, having said that he wanted to “Capture Bin Laden, kill him, and bring his head back in a box on dry ice.” That didn’t happen, but a 2005 CIA inspector general’s report did chastise the CTC for not sharing information with other agencies that could have led to the discovery of the 9/11 plot before it occurred. His Qualifications: Phares has worked as a professor, counterterrorism adviser, author, and pundit for Fox News. His Qualifications: Bork was a failed Supreme Court nominee under President Ronald Reagan and played a controversial role in the Watergate scandal. His Qualifications: Kobach is the secretary of state for Kansas. What You Need to Know: Kobach is the intellectual architect behind harsh Arizona-style immigration laws all over the country. 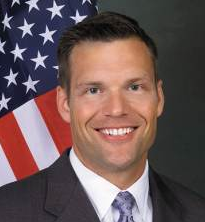 Kobach has flirted with birtherism and even sought to abolish birthright citizenship. But illegal immigration isn’t Kobach’s only hobby horse: At the GOP convention, he dipped his toe into Shariah panic by urging the adoption of an anti-Shariah plank to the GOP platform. 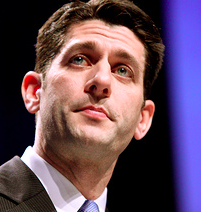 His Qualifications: Ryan is a Republican congressman from Wisconsin and the chairman of the House Budget Committee. What You Need to Know: Technically he’s the veep pick, but in choosing Ryan, Romney tied himself to Ryan’s policy agenda. In the past, that agenda has included turning Medicare into a voucher system so that seniors have to pay more for their health care, slashing Medicaid so that states have less money to cover medical services for the poor, old, and disabled, and all while cutting taxes on the wealthy. Where does Ryan’s plan make up that extra revenue? In part by raising taxes on the poor. There’s no one on Romney’s team who embodies the “half the country are moochers” mindset expressed by Romney on that 47 percent video more than Ryan does. His Qualifications: Bolton is a lawyer and diplomat who served under George W. Bush and George H.W. Bush. 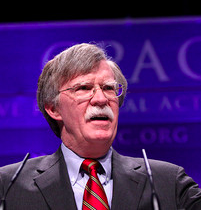 What You Need to Know: It’s never a bad day to bomb Iran if you’re John Bolton, the walrus-mustachioed Bush-era ambassador to the United Nations. Bolton has been pushing for an Iran strike for years, he recently said he thought the Israelis should have bombed Iran “three and a half years ago.” A favorite of anti-Muslim activists like Pamela Geller, Bolton likes a good conspiracy theory himself, recently warning that a UN small arms treaty could take Americans’ guns away. His Qualifications: Franks, a retired commander of the US Central Command, led the 2003 invasion of Iraq…and came in at No. 4 on Foreign Policy‘s “worst general in American history” list. What You Need to Know: It’s hard to know where to start with Franks: He didn’t tell the American public he was planning on invading Iraq and then he helped spread the big fat lie that there were actually weapons of mass destruction in Iraq. Once the war was over, he had no plan to deal with the aftermath. Oh, and he lost Osama bin Laden. His Qualifications: He’s a self-made American oilman worth $9.7 billion, as of September 2012. What You Need to Know: Hamm would end federal control of drilling on government land, a policy Theodore Roosevelt ushered in to help protect wildlife and America’s most beautiful places. Instead, states would have the authority to frack and mine government lands. The New York Times calls this “a radical shift from decades of policies under both Democrat and Republican presidents.” According to Rolling Stone, Hamm has also given nearly $1 million to Romney’s super-PAC. 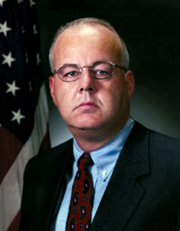 His Qualifications: Hassett was a senior economist for the Board of Governors of the Federal Reserve System. What You Need To Know: Hassett is your typical right-wing economist: He favors stimulus when Republican presidents are in office and austerity when Democrats are in office, and in that sense he’s kind of a perfect adviser for Mitt Romney, who is known for changing his mind on big issues when it’s convenient. Hassett is most infamous, though, for writing (with James K. Glassman) the 1999 book Dow 36,000, in which he predicted an ever-rising stock market. “Stocks are now in the midst of a one-time-only rise to much higher ground,” Hassett and Glassman wrote, which is true if you ignore subsequent downturns including the worst economic crisis since the Great Depression. With a track record like that, how can Hassett’s assertion that Romney’s jobs plan will create “millions of jobs” possibly be wrong? Photo Credits: Cofer Black: State Department. 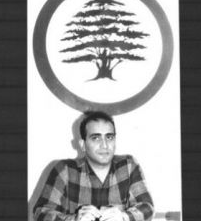 Walid Phares: An-Nahar. 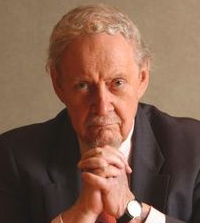 Robert Bork: Wikimedia Commons. Kris Kobach: Wikimedia Commons. Paul Ryan: Flickr, Starley Shelton. 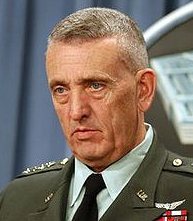 John Bolton: Flickr, Gage Skidmore.Tommy Franks: Wikimedia Commons. 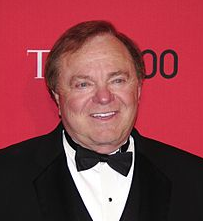 Harold Hamm: Wikimedia Commons. 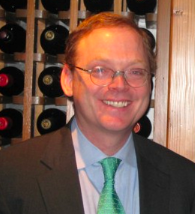 Kevin Hassett: Wikimedia Commons.